Bravado Nursing Bras are on CLEARANCE! We are discontinuing our nursing bra selection and are clearing our inventory. Limited selection and sizes available. Get yours while they last! Only $29! Our fabulous one-size cloth diapers have finally arrived and are now ready to ship! Wait no longer, order yours today! If you haven't tried our new PuddleCatchers cloth diapers yet, you need to find out what the buzz is all about. 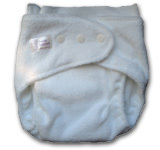 These cloth diapers are the softest, stretchiest cloth diapers out there for your baby. Made in Canada from only the highest quality fabrics, these cloth diapers cannot be beat for absorbancy, trimness of fit and comfort. Even better, when you choose to diaper your baby in PuddleCatchers you are saving over $1800! Welcome to Twinkle Little Star! If you haven't been here for a while you will notice some fairly extreme changes have occurred. We are paring down our shop to be able to serve you better. All of our leftover stock of nursing clothing and nursing bras are now on clearance, with savings of up to 50% off retail pricing. Also check for fantastic savings on hemp baby clothes, nursing pads maternity underwear and more. Stretch terry diapers in buttery soft fabrics, to pamper your baby's delicate bottom. 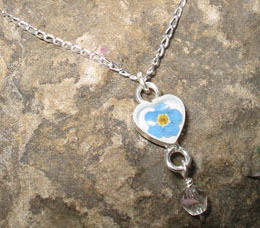 handcrafted of sterling silver, pewter and semi-precious gemstones reknowned for their fertility and protective energy. A perfect symbol for your new journey. A special memorial to recognise the loss of a baby. A perfect sympathy gift.